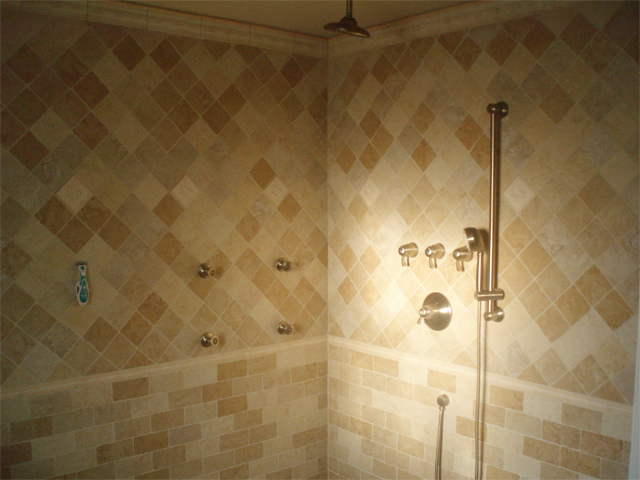 Bathroom remodel included a full demo, new Sluter Waterproof Shower System with a custom tile and wet bed shower with frameless glass. 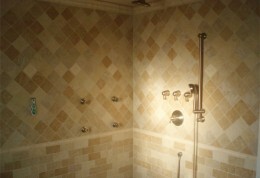 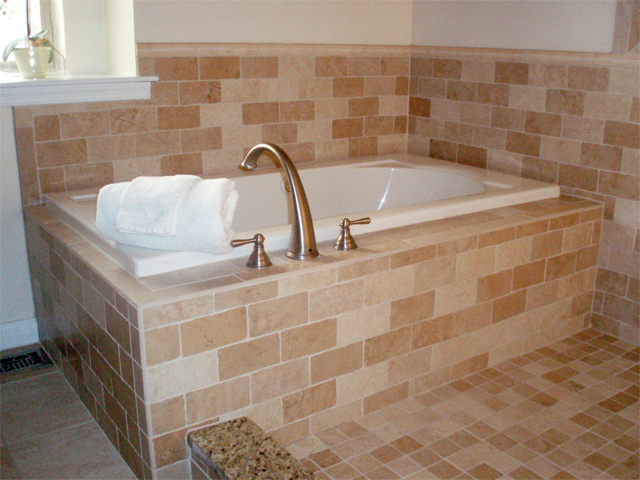 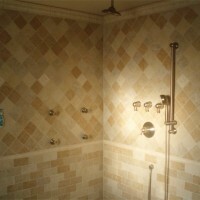 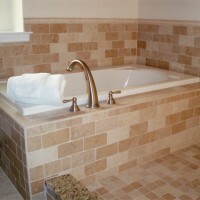 A jacuzzi tub, encased in custom tile. 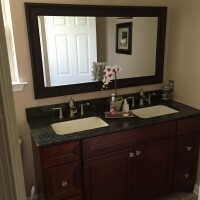 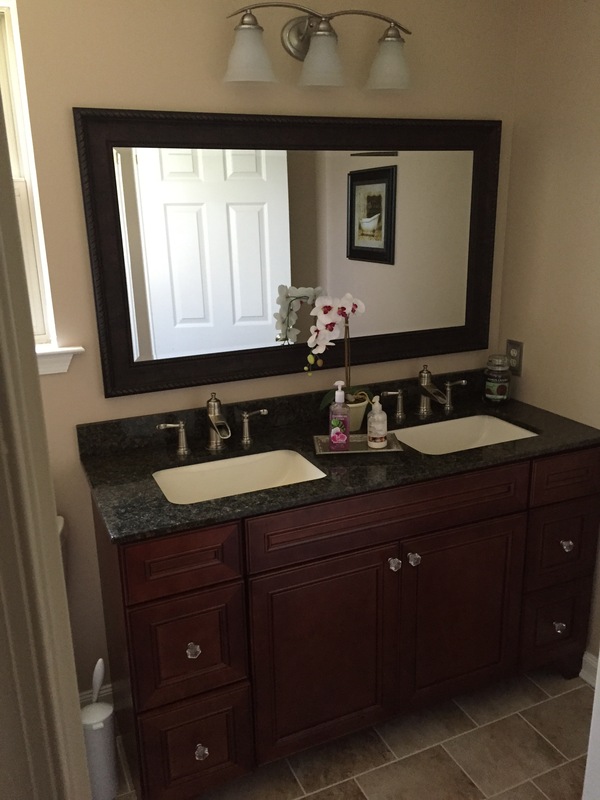 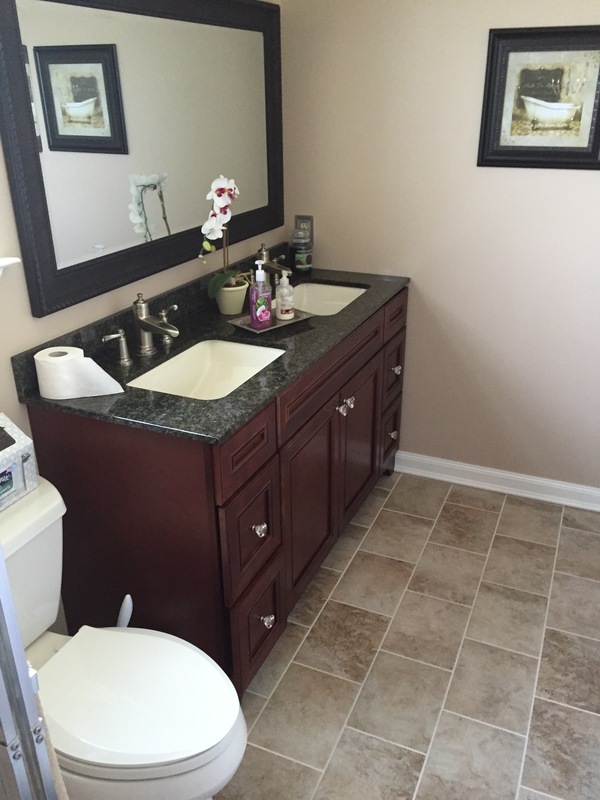 New tile floor, double vanity with granite top, mirror, toilet, lighting and all new Moen nickel fixtures. 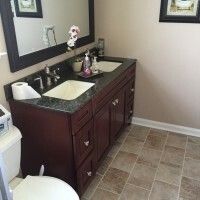 They then had us come back for a powder room renovation with included 8×10 tiles on floor, new vanities, sinks, faucets, toilet, shower, paint and crown moldings.